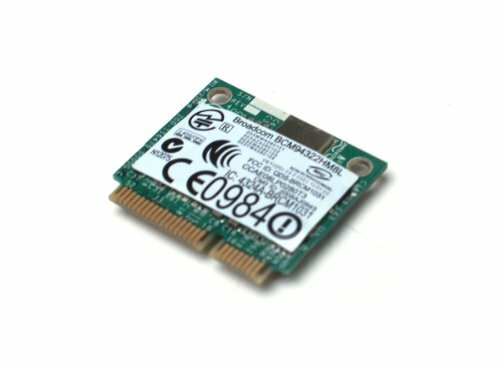 The Wireless 1510 PCI Express WLAN Half-Height Mini Card from Dell is designed as a dual band 2.4/5 GHz card supporting 802.11a/g/n networks providing Wi-Fi users with an enhanced multimedia experience that operates in both the 2.4 GHz and 5.0 GHz spectra. This card offers hardware encryption including 64 and 128-bit WEP (Wired Equivalent Privacy), CKIP (Cisco Key Integrity Protocol), TKIP (Temporal Key Integrity Protocol), and AES-CCMP (Advanced Encryption Standard and Counter Mode Cipher Block Chaining-Message Authentication Code-MAC Protocol). Moreover, it supports extensible authentication protocols (EAP) including TLS, TTLS, LEAP, PEAP, MD5, and EAP-Fast along with data transfer rate of up to 54 Mbps. It complies with the 802.11g along with 802.11b/d/e/i/k standards. This product has been tested and validated on Dell Systems. It is supported by Dell Technical Support when used with a Dell system.